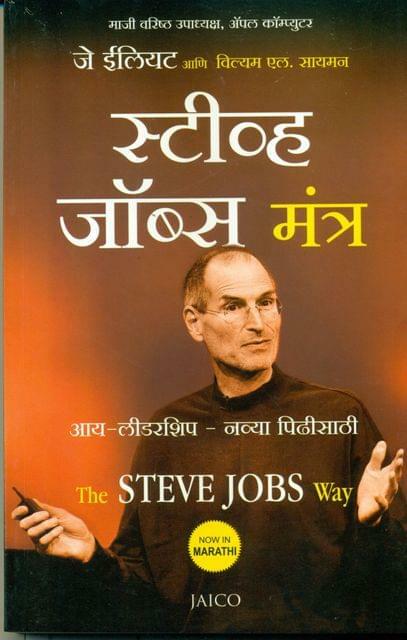 Now in Marathi, in the Steve Jobs Way, Jay Elliot gives the reader the opportunity of seeing Steve Jobs as only his closest associates have ever seen him and to learn what has made him -and the mystique of his management style -capable of creating tools so extraordinary that they have remade three industries and have transformed the way we create, consume and communicate with each other. Jay Elliot worked side by side with Steve as Senior Vice President of Apple and brings us his deep insider perspective of Steve's singular leadership style, which encompasses four major principles: product, talent organization, marketing. Jay shares the lessons that come out of Steve's intuitive approach to show how the creative and technological brilliance of leadership can be utilized to drive breakthroughs in any organization, irrespective of size.